Most of the post-apocalyptic stories we all read, and watch, are on some level fantasy, dark fantasy of difficult lives where day-to-day survival is a challenge in its own right, but it’s still fantasy. Those stories are often heroic in nature, where the good guy or guys are fighting the bad guy, or zombies, or aliens or any number of evils that can bring a cataclysmic end to the world as we know it. This heroism and survivalist mindset lends to the fantasy. It’s why we love these stories as much as we do. We want to see ourselves as the survivors, one of the rare types that can not only live but thrive in a world gone mad. 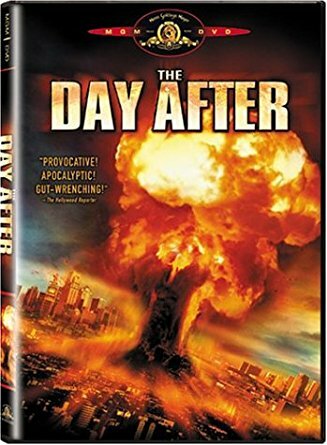 Of all the end-of-the-world films out there, only one has truly dared to strip away the fantasy and look directly at the consequences of a nuclear war. 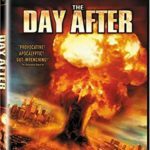 The Day After, a 1983 made-for-tv movie debuted to more than 100 million viewers on its initial broadcast, making it one of the most successful television films of all time. I won’t give too much in the way of plot, as I truly believe this is both one of the most terrifying movies ever made and one movie every person should watch. The movie follows many different characters and families, mainly in the Mid-Western US, through the beginnings of a war between the United States and the Soviet Union. When tensions escalate and the US refuses to back down from Soviet threats a nuclear war is launched between the two superpowers. It’s never stated in the film who launched first, but the movie also makes one thing very clear… it doesn’t matter. There is no heroism here, only death and misery. There’s no good guy to love and root for, there’s no evil overlord or deadly “other” to hate. It’s a story of the hubris of man and the arrogance of the powers that be playing with lives they never seem to consider in their decisions. The ensemble cast, some of whom were just at the beginnings of their careers, were amazing in their roles. Jason Robards, John Lithgow, Steve Guttenberg, JoBeth Williams, John Cullum, Amy Madigan. These are just a few of the great cast that lent their skills to an unflinching, painful look at a very real apocalypse. The Day After is a powerful film that will affect many long after the screen has gone black. It is also one of the few visions of the apocalypse that everyone should watch at least once. You can purchase a copy of this post-apocalyptic classic right HERE! John L. Davis IV writes things of a post-apocalyptic nature. Check out some of his other writings on Amazon! Check out Rome’s review of The Road NEXT!